So excited to have our 1st ever challenge that we are co-hosting with our friends at Scrapbook Circle. 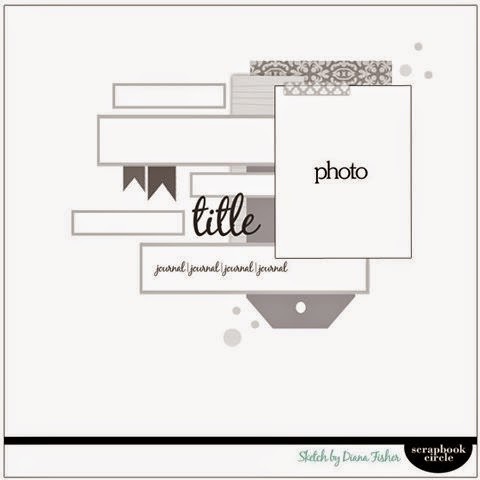 I love this sketch created by Scrapbook Circle design team member Diana Fisher. Our DT member Ashley Horton was inspired by this sketch and has created this beautiful layout using elements from our Fresh Inspiration kit as well as some other Pinkfresh Studio goodies. Please follow Scrapbook circle on their social media and wave a nice Pinkfresh Hello! Enjoy your weekend and good luck! Happy Scrapping!